Rethinking a GOLD allocation !? Several global banks have begun charging large customers to deposit their money in euros, a rare move that could have costly implications for investors and companies that do business on the Continent. The actions are driven by policies from the European Central Bank, which in June became the largest central bank to impose a negative interest rate on deposits–meaning banks are paying to park their money with the ECB. The effort is designed to encourage banks to instead use that money to lend. 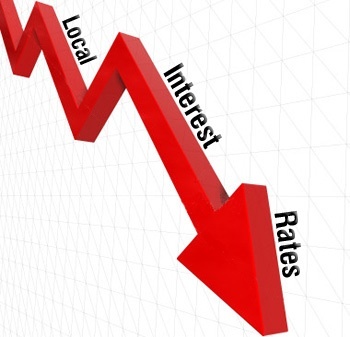 When the ECB dropped those rates further in September, some banks started pushing those costs–or costs related to the rate cuts–onto customers. Now, instead of paying customers interest on their euro accounts as they have done traditionally, some banks have started charging them. Bank of New York Mellon Corp. recently started charging 0.2% on euro deposits, the bank said Friday, and Goldman Sachs Group Inc. and J.P. Morgan Chase & Co. have also started charging clients, according to people familiar with the matter. Meanwhile, Credit Suisse Group AG has told customers it will pass along negative interest rates on all currencies in which they apply, people familiar with the matter said, and has started charging on euro deposits. The reversal is the most sweeping of its kind that many bankers and their clients say they can recall. The clients most immediately affected are investment firms, such as hedge funds and mutual-fund companies. Multinational corporations with sizable operations in Europe could also face additional costs, according to people familiar with the matter. This entry was posted in Bail In, Banks, Deceptions, ECB, Euro, Europe, Gold, Uncategorized by Adrian Rowles. Bookmark the permalink.